This overview of diffusion and separation processes brings unsurpassed clarity to this complex topic. For students, Diffusion goes from the basics of mass transfer and diffusion itself, with strong support through worked examples and student questions. Retaining the trademark enthusiastic style, the coverage now extends to biology and medicine. Professor Cussler teaches chemical engineering at the University of Minnesota. His research, which centers on membrane separations, has led to over 200 papers and four books. A member of the National Academy of Engineering, he has received the Colburn and Lewis Awards from the American Institute of Chemical Engineers, the Separations Science Award from the American Chemical Society, the Merryfield Design Award from the American Society for Engineering Education, and honorary doctorates from the universities of Lund and Nancy. 1. 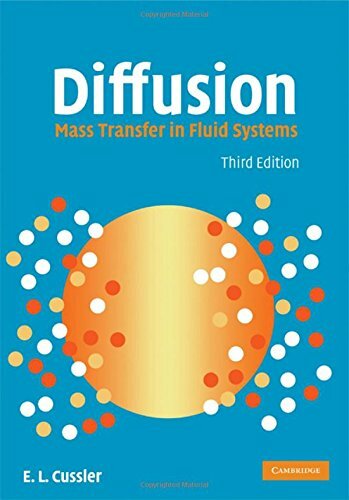 Diffusion: Mass Transfer in Fluid Systems, 3rd ed.